Reserve team defender who made a pair of substitute appearances in 200 Middlesex Senior Cup ties. Former Redbridge FC midfielder who joined Hayes & Yeading United in October 2018 making his debut and solitary appearance against Edgware Town in the Middlesex Senior Cup. Released January 2019. Central defender who joined Hayes & Yeading in September 2016 having started out in youth system at West Ham United. Became a regular early season with United but a change of management seemed to limit his chances and he opted for a change by signing for National League South side Bishop's Stortford. Versatile defender who joined Hayes & Yeading in September 2017 on dual registration with Whyteleafe, making his debut in a 2-2 draw with then table toppers Moneyfields. Made five starts at right-back but then returned to Whyteleafe in November 2017. Former Queens Park Rangers central defender who joined Hayes & Yeading during the summer of 2017 after leaving Billericay Town at the end of last season. Came off the bench in UNited's opening two fixtures before being released to join Southern Premier side Dorchester Town. Midfielder who joined Hayes & Yeading in December 2011 from Middlesex County Premier League side Interwood FC. While only making a handful of appearances for United, he was a hard worker who showed tenacity and ability in the centre of the United midfield. Goalkeeper who was signed by Hayes & Yeading in October 2014 in an emergency with Calum Kitscha unwell after returning from International duty. Probably could not have had a worse debut, being at fault for an early goal and then being sent off for a professional foul in what not surprisingly was his only appearance for United. Right sided or central defender who arrived at United from Oxford City in March 2014. Slotted in neatly at full-back and showed good speed going forwards. Departed at season end. Re-joined United for a short spell during 2014/15, scoring a vital first United goal at Staines Town that saw Hayes & Yeading overturn a two goal half-time deficit to win 3-2. Vastly experienced striker who joined United in September 2014 having started the season in the Ryman Premier with Leiston. Made a brace of appearances for United before being offered a player/coaching position with Maldon & Tiptree that he took up. Midfielder who joined Hayes & Yeading in November 2015 from Aylesbury FC where he had featured regularly in their development squad. Couldn't have asked for a better start with United, starting and scoring on his debut against Truro City in what appeared to be his first game at senior level. Departed after just four appearances however. Reserve team defender who made a single appearance for United in a Middlesex Senior Cup tie at Northwood in December 2007. Came from Yeading at the point of merger and made the right-back position his own for the new Clubs first three seasons. A model of consistency throughout his time with United and a shock departure in May 2010 when work commitments and the new training regime meant he could not remain at Church Road. Central defender or midfielder who joined Hayes & Yeading United in August 2016 after impressing during the pre-season programme. Was hampered by several injuries during his spell and was eventually released whereby he joined Leatherhead. Came to Hayes & Yeading in the summer of 2012 from Slough Town and was an instant hit scoring regularly early in the season before being struck down with a succession of injuries. Having failed to regain his place in the side, Jerome was released early in 2013 following a change of Manager. Wide player who came through the youth ranks at Church Road to make a solitary substitute appearance in 2007 at Northwood in the Middlesex Senior Cup. This sole appearance put Josh in the Club records as the youngest ever first teamer aged just 17 years and 72 days. A reserve regular who was released in summer 2010. Wide player who made a single United appearance as a trialist in a Middlesex Senior Charity Cup tie against AFC Hayes in April 2018. Experienced striker who joined United in August 2014 from Conference Premier side Wrexham although his debut was delayed by the red tape of international clearance. Struggled to nail down a starting place in the side and after a handful of appearances was released in September 2014. Arrived at Church Road in the summer of 2010 having previously come through the ranks at Preston. A hard tackling midfield player who was essentially used from the bench during 2010/11 before signing for Farnborough in July 2011. Returned to United briefly in the summer of 2017 but soon departed again. Right-back who joined Hayes & Yeading during the summer of 2011 having been released by Southampton where he came through the ranks to the Saints under-21 side. Made a good start at United but injuries and a loss of form saw him in and out of the side before being released in May 2012. Goalkeeper who joined United in August 2011 on a season long loan from League 1 side Wycombe. Instantly became a fans favourite, saving two penalties in a game (twice) in his first six games. A mid-season injury deprived United of his services for some time but he returned and at season end was voted the supporters' Player of the Year. Left-sided midfielder who arrived at Church Road in December 2007 from Queens Park Rangers via a work experience agreement. Chris is a quick and powerful player who had been tracked for several months by manager Garry Haylock prior to United securing his services. Returned to QPR in January 2008. Midfielder or right-back who joined United in the summer of 2014 having come through the John Madejski Academy at Reading and earned a place in the England under 18 side. His season was dogged by injuries and he ended the season on dual registration at Burnham before departing in the summer. Midfield player who joined Hayes & Yeading on the eve of the 2017/18 campaign having played as a schoolboy with both Fulham and Wycombe Wanderers before moving to the Luton Town academy. Made a couple of appearances in the opening games but was soon released. Wide midfield player who joined Hayes & Yeading in March 2016 from Essex Senior League side Tower Hamlets. Made just a pair of appearances from the bench before being released. Reserve team keeper who made a single first team appearance against Staines Town in an October 2009 Middlesex Senior Cup tie. Released in the summer of 2010. Pacy midfield player who originally joined Yeading from Harrow Borough in the summer of 2003, returning to the Warren in January 2006. Probably the fastest player in the 2006/7 Yeading squad. Joined Farnborough in December 2007 on dual registration. Vastly experienced striker who arrived at Church Road in November 2009 on loan from fellow Blue Square Premier side Luton Town, a deal that was later extended until the end of the season. Showed his quality by netting 8 times in his 15 games for United before returning to the Hatters at season end. Product of United's successful FEDO scheme who broke into the first team while still playing for the clubs under 18s. A striker with bags of potential, Aristede made his first team debut in January 2012 against Ebbsfleet. At the start of 2012/13 he went on trial with AFC Bournemouth and secured a two year deal in October 2012. Came to Hayes & Yeading in August 2011 having played in the Cypriot second division for KN Onisillos Sotiras after coming through the Glenn Hoddle Academy. A versatile player who could play in defence or midfield but found a regular place hard to secure. Was released by Manager Nas Bashir at the end of October 2011. Attacking midfielder who joined Hayes & Yeading in September 2014 after he was surprisingly released by fellow Conference South side Staines Town. Became a regular in the United midfield until losing his place through injury and being released. Goalkeeper who joined Hayes & Yeading United in December 2011 via the Glenn Hoddle Academy, making his debut almost immediately at Braintree Town in the Blue Square Bet Premier. James appeared to have made the number 1 shirt his own early in 2012-13 but lost his place to injury and never fully regained it before being released in February 2013. Centre-back who made his United debut in October 2007 after impressing in the reserves. Nick is the son of FA Cup winner Dave Beasant and has also seen service with Wilmington Hammerheads in the United States. Winger who joined United in January 2012 after his release from Yeovil Town and soon made his debut as a substitute at Kidderminster Harriers. Before a chance at a second appearance he decided the travelling was too much and promptly joined Salisbury City just days after making his debut in United colours. Under 18 Academy defender who made a single appearance in a 2014/15 Middlesex Senior Charity Cup tie. Former Gillingham skipper who joined United in August 2011 having left the Gills at the end of the previous season. Equally at home in defence or midfield, Mark provided some much needed experience to a young United side. Signed for Boreham Wood shortly after the end of season 2012/13. Much travelled former Rushden & Diamonds winger who joined United in January 2012 from Burgess Hill Town. Made just one solitary appearance from the bench and was released in March 2012. Central defender who became the youngest player ever to make a first team appearance for United, as a substitute at Havant aged 16 years and 104 days, he then missed a large chuck of last season through injury. Started 2014/15 as skipper of the U18s and Reserves but chose to depart mid-campaign when offered first team football at Bedfont Sports. Striker who came through the Academy ranks at Watford before settling with Spartan League side London Tigers. Capped by Libya at both under 17 and under 18 levels, Mo made his United debut in November 2011 at Alfreton having joined from London Tigers. Released in March 2012. Former Reading striker who joined Hayes & Yeadng in January 2015 from Sutton United for whom he had signed from Basingstoke Town. Another United front runner who in his short spell really didn't make an impact during a tough season although he was coming off the back of a lengthy injury. Re-joined Basingstoke upon his release. Left-back who came to United on a months loan from AFC Bournemouth in March 2014 having come through the Academy at Arsenal prior to joining the Cherries. While not getting a defensive role at United, Samir impressed on the left side of midfield. Returned for a single appearance in 2014/15 but was soon released. Experienced left winger who arrived at United from Maidenhead in February 2009 and is recognised as being instrumental in United's final promotion push that season having been promoted the previous season with Lewes. Spent a year with United in the top division before being released in May 2010. Joined Farnborough in June. Left-back or left sided midfielder who signed for United in the summer of 2013 from Ryman Premier side Kingstonian. Early in the season Tom made the left side of midfield his own with some impressive performances and then having been substituted at half-time in a game he announced via social media that he was leaving and joined Metropolitan Police. Striker who joined United in January 2014 from Southern League side Burnham and immediately struck a first half hat-trick in a reserve team fixture against St Albans City. Ryan is a pacey striker with a good eye for goal but having played a handful of games for United was put out on dual registration before being released towards the end of the season. Experienced defender who joined Hayes & Yeading during the summer of 2017 having been with National South side Chelmsford City last season. Started the season as a regular at left-back but was released in September 2017 after just 7 appearances. Goalkeeper who joined Hayes & Yeading in November 2016 from Kings Langley thus re-uniting with manager Paul Hughes. Was one of the higher performers as United were relegated which earned him a move to Hemel Hempstead prior to the 2017/18 campaign. Returned briefly to United in January 2018 for a short loan spell before returning to Hemel. Former Stoke City academy product midfielder who joined United in August 2013 from Cambridge City, along with his brother Kelvin. Made only a single starting appearance against Havant & Waterlooville where he volleyed home what resulted in being the winning goal plus a handful from the bench before being released in November 2013. Striker who joined Hayes & Yeading at the end of August from Cambridge City. Came through the youth ranks at Reading and has played in Holland and in the Conference South with Basingstoke, Havant and Maidenhead. Scored a crucial winner against Basingstoke but in November 2013 made the decision to return to his former club Cambridge City. Young left sided attacking player who spent time on loan from Wycombe Wanderers in seasons 2007/8 and 2008/9. The second spell coming after he had signed his first professional contract with the League 2 side. Left-back who arrived at Hayes & Yeading from Chesham United in December 2012. Slotted straight into the roll on the left but despite starting well appeared to fade as the season went on and was released in March 2013. Central defender who joined Hayes & Yeading at the end of August 2016 while still serving in the British Army, making his debut in a single goal home defeat against Dunstable Town. Was immediately installed as club captain and led by example throughout the season. Upon his discharge from the Army he signed a professional contract with Bristol Rovers. Young central defender who came through the ranks at Queens Park Rangers before being released by the R's, joining Hayes & Yeading in January 2014. Never really managed to establish a regular place in the centre of defence but did cover the right full-back role a few times. Departed at season end. Wide midfielder or striker who came through the successful United Academy. Made his first team debut as a 16 year-old substitute in a January 2015 Middlesex Charity Cup tie at Harrow Borough and made 11 further first team appearances while still playing for the under 18s. Featured regularly during 2016/17 but opted to switch to Uxbridge in the summer. Defender who joined United in January 2016 upon his return to the UK from playing in Norway with IF Flekkeroy. Was a regular in the defence to season end but chose not to return for the following season and joined Redditch United for whom he played against United the following season. Left-back who twice came to United on loan from Queens Park Rangers during the 2010/11 season. A hard working and athletic player who was also deadly from 12 yards, netting 5 penalties during his time at Church Road. Returned to now Premier League QPR at the end of the season and was surprisingly released by them. Reserve team midfielder who made a single substitute appearance in a February 2011 county cup tie at Harrow Borough. Young striker who arrived at Church Road in the summer of 2010 from Slough Town. With previous experience in the division with Stevenage, it did however take him a little while to find his scoring boots but by the end of the campaign he was scoring freely and ended joint top scorer with 15. Joined Newport County in July 2011. Experienced left-back who joined United at the end of October 2008 from Fisher Athletic under a dual registration with Exeter City. Ronnie made 7 appearances for United before signing a contract with The Grecians in January 2008 which ended his dual registration. Reserve team midfielder who made a couple of first team appearances during the 2007/8 season. Made his debut in a Middlesex Senior Cup tie at Northwood before making his Blue Square South debut as a substitute at Basingstoke. Moved to Ashford Town (Middlesex). Goalkeeper who came to Church Road in October 2010 on a short term loan deal from Queens Park Rangers. Injury to Lee Harrison quickly saw him thrown in at the deep end giving a man of the match performance at Newport County. Returned to QPR December 2010. Central defender who joined United at the start of the 2014/15 campaign from AFC Dunstable after showing well in pre-season workouts. Started on the opening day and contributed a goal in United's first home game, a 3-1 win over Concord Rangers. Released shortly afterwards and returned to AFC Dunstable. Striker who joined Hayes & Yeading from Burnham in October 2013. Had always been a prolific scorer at lower levels and came to United's attention in a pre-season friendly, scoring for Burnham after just 26 seconds. Made his debut immediately after joining the club, as a substitute against Bishop's Stortford but was soon on the move again. Defender who joined Hayes & Yeading in September 2012 from Danish First Division side FC Hjørring whom he joined from Tottenham the previous summer. Played in the right or centre back roles regularly throughout the season and then at season end earned himself a contract in the Scottish Premier with Dundee United. Central defender who returned to Hayes & Yeading for a second spell in January 2013 having been almost present throughout season 2010/11. Former Gillingham and Histon player who between spells at United played at Farnborough under former United manager Garry Haylock. Departed again summer 2013. Central defender who initially joined United in August 2007 on loan from Wycombe and played in the Clubs first ever fixture at Lewes. Joined United permanently the following season and captained the side to promotion at the end of that season. Went on to complete 5 full seasons with United before a personal relocation saw him sign for Whitehawk in June 2013. Central midfielder who joined United in June 2009 from Team Bath. Took a little time to settle into Blue Square Premier football but finished the season well. Surprisingly released at the end of the campaign and subsequently joined promoted Bath City in May 2010. Striker who came to United in September 2009 on a three month loan from Notts County. Sean was previously a prolific goalscorer with Team Bath before his move into the Football League with County. Returned to Notts County when loan expired in December 2009. Attacking midfield player who joined United in November 2016 on dual registration with Wealdstone having returned to the UK from playing in the United States. Impressed at times in his short spell before seeming to make the decision that he did not want to play football anymore. Right sided wing-back who joined Hayes & Yeading in January 2018 from Isthmian Premier side Leatherhead. Adam had been out of the game for the best part of a year due to an ACL injury but came to United and gave everything powering up and down the right side giving a new dimension to Uniteds attack. Sadly a further ACL injury curtailed his season. One of a dozen right-backs used during the 2017/18 campaign, played his only game in a 5-0 mauling at Banbury United where he was substituted after just 16 minutes. Was released shortly afterwards. Central defender who joined Hayes & Yeading on loan from Premier League side Southampton in March 2016. Made his United debut at Wealdstone but this was to be his only appearance before he returned to the Saints. Central midfielder who arrived at United in the summer of 2009 having spent a season at Church Road in 2002 with Hayes. Left Hayes for Crewe at the end of his first season and spent 3 years at Gresty Road before moving around various League sides. Released in May 2010. Hard working central midfielder with a fierce shot who captained both United's under 18 and reserve sides, earning promotion to the first team squad as a result. Made his first team debut as a substitute at Havant & Waterlooville in September 2013 but with first team opportunities limited he took the decision to move on and joined Uxbridge. A much travelled striker who arrived at United in December 2008 from Fisher Athletic. United were his fourth club of the season and his stay was to only last a couple of months. Released February 2009. An incisive wide player on either flank who can also play a more central role if required. Joined Yeading in the summer of 2006 after a season with Worthing in the Ryman League. Previously impressed at Walton & Hersham and Kingstonian. Moved to Carshalton Athletic March 2008. Peter signed for United at the point of merger having come through the ranks at Hayes FC. A versatile defender who played in the new Clubs first ever fixture and was just 1 game short of 50 United appearances when he decided to make the move into coaching by joining Garry Haylock's backroom staff in the summer of 2009. Originally signed for United following his release by Stevenage in the summer of 2011 before leaving for Stockport at season end from whom he returned to United on loan. Became a bit of a roamer with further spells at United during 2014/15 and 2015/16 but never really seemed to settle, whether this is down to player or management, who knows! Spanish goalkeeper who joined Hayes & Yeading in November 2017 from Hanwell Town having starred against United last season at Kings Langley. Kept two clean sheets and impressed in his three appearances but when Jack Smith returned to fitness he decided to move to Northwood to get regular football. Left-back who joined Hayes & Yeading at the end of August 2017 from National League South side Bognor Regis Town. Started a handful of games but with United's constantly changing defence he did not secure a regular place and was released in October 2017. Midfield player who joined United in February 2013 from Chelmsford City. Became an internet sensation for all the wrong reasons earlier the same season against us when he slipped taking a free-kick which ended with United going the length of the pitch to score through Yassin Moutaouakil. Departed at season end. Midfield player who joined United in December 2016 having been released by Championship side Queens Park Rangers in the summer. Another to make just a single appearance, in a Middlesex Charity Cup tie at Cockfosters, before being released. Left sided reserve team midfielder who impressed enough to earn a place in the first team squad during 2008/09. Made his debut against Eastleigh in the Blue Square South but only added a solitary Middlesex Senior Cup game to his total. Reserve team striker who arrived earlier in the 2012/13 season from St Albans City. Having scored a hat-trick in the reserves, he made a handful of first team appearances from the bench but failed to find the net. Departed in the summer of 2013. Striker who originally joined Hayes & Yeading in March 2014 from Fleet Town. Started the following campaign with United before being released to join Basingstoke Town. Briefly returned to United after departing the Dragons but was soon on his way again, back to Fleet. Did end the season as United's top scorer with the 7 goals from his first spell. Former Spurs and Barnet midfielder who came to United in the summer of 2012 and was immediately installed as club captain despite being just 21 years of age. After an excellent season which resulted in his being named supporters' Player of the Year, Sam left in May 2013 looking to push his career on and despite almost re-signing he chose to join Boreham Wood. Central midfielder who was Manager Nas Bashir's first signing in the summer of 2011, joining United from Hungerford Town. Made an instant impact scoring a 25 yard free-kick on his debut but a series of injuries meant that he failed to command a regular place in the side and he was released in January 2012. Vastly experienced central defender and former Wealdstone skipper who arrived at Hayes & Yeading in March 2016 from Ryman Premier side Grays Athletic. Stayed with United to season end but opted not to return for the following campaign. Young goalkeeper who joined in March 2014 as cover for regular custodian Mikhail Jaimez-Ruiz and found himself playing in the vital last few games of the campaign after injury a change between the sticks proving to be an excellent shot stopper. Charlie returned for a single appearance in 2015/16 but was soon released once more. FEDO graduate and former reserve team captain who made his first team debut against Northwood in the Middlesex Senior Cup before adding a Blue Square South substitute appearance. Versatile defender who could play all across the back line. Joined Harefield United in the summer of '09. Teenaged midfielder who joined Hayes & Yeading during the summer of 2017 after impressing manager Paul Hughes during pre-season. Stayed a short while without establishing himself in the side before moving on. Highly rated teenaged Wycombe striker who came to Church Road in August 2009 on loan from his parent Club. After an initial month this was extended to the full three months before George returned to the Chairboys in November 2009. Experienced central midfielder who joined Hayes & Yeading in December 2014 on a season long loan from Hemel Hempstead Town. Worked hard in the centre of the United midfield before suffering an injury before the end of the season that saw him return prematurely to his parent club. Highly rated Charlton Athletic wide man who came to Hayes & Yeading in February 2015 on a short term loan deal from the Championship club. Made 4 appearances on the left side of the United midfield before returning to The Valley at the end of his one month stay. Goalkeeper who joined Hayes FC in August 2004 from Aylesbury United. Kevin was voted the players' and supporters' Player of the Year at the end of his first season followed by being voted the clubs Player of the Year at the end of 2006/07. Kevin pledged his allegiance to United in June 2007 before departing in January 2008. Young Brazilian reserve team striker who made a couple of first team appearances in the last two games of the 2007-08 season after impressing with the second string. Former Lazio goalkeeper who joined United in January 2008 after impressing manager Garry Haylock during a trial. Roma born Alessio made seven Serie A appearances for Lazio and has also represented his native Italy at all levels through to under 19. Left the club in July 2008. Left sided player whoi joined United in the summer of 2010 having ended the previous season with League 2 side Barnet. An experienced Sierra Leone International who having been unable to nail down a regular starting position was released in February 2011. Under 18s central defender who made a solitary first team appearance for United in a Middlesex Charity Cup tie against AFC Hayes in April 2018. Signed for Egham Town in the summer of 2018. Powerful central defender who transferred to Hayes & Yeading from fellow Southern Premier side Dunstable Town in October 2016. As with what seemed to be the revolving door policy of the season, he did not stay long before moving on. Striker who arrived at Hayes & Yeading for a brief loan spell from Dagenham & Redbridge in November 2013. After making a bright start on his debut, Louis suffered with an injury before returning to the Daggers with just a few appearances under his belt. Striker who arrived at Hayes & Yeading in January 2015 on his release from Conference side Aldershot Town. Made a goalscoring debut at Bishop's Stortford, coming off the bench to net the leveller in a 2-2 draw. Tom failed to nail down a regular place in the struggling United side and was released in March 2015. Left sided defender who joined United in the summer of 2015 from Barton Rovers having impressed then Manager Tristan Lewis during pre-season. Jhai came to notice in the football world when he was announced as the winner of Chelsea's inaugural search for an Asian Soccer Star competition aged just 14 in 2009. Released after just 4 appearances. Full-back or midfielder who joined Hayes & Yeading in August 2016, immediately making a goal scoring debut in a 1-1 draw at Basingstoke Town. Left after just four games, joining Isthmian Premier side Enfield Town. Joined United at the back end of 2007/8 having been released by Brentford where he mainly played as a centre forward. Strong 6ft player who plays all the way through the middle of the park from centre forward to centre-back. Moved to Beaconsfield SYCOB in December 2009. Central midfielder who signed for Hayes & Yeading in December 2017 from Ostersunds IFK in Sweden. Began his career with Tottenham and showed himself to be a very skilful and hard working midfielder who was an integral part of United's charge to the play-offs. Despite signing for the 2018/19 campaign he switched to Hendon without returning. Highly rated central midfielder who joined Hayes & Yeading in March 2017 on a season end loan from National League side Dagenham & Redbridge. Solid hard working midfielder who showed a good eye for a pass, returned to his parent club at season end. Much travelled wide midfielder or striker who signed for Hayes & Yeading from Sevenoaks Town in October 2016. After a handful of games, and a wonderful solo goal at King's Lynn, he was again on the move, this time to East Grinstead Town, followed quickly by a move to Margate. Regular reserve team left-back during 2009-10, made his solitary first team appearance in October 2009 in a Middlesex Senior Cup tie against Staines Town. Released in the summer of 2010 and subsequently joined Staines. Dutch striker who joined the club from Southern Premier side Banbury United in the summer of 2017. Went on to have a season beyond expectations, ending the season with a club record 39 goals in all competitions, 33 in the League, but this was not enough as United lost in the play-offs. Returned in pre-season before being sold to League 2 Cheltenham Town. Central defender or midfielder who originally joined Hayes & Yeading in February 2016 having started the season in the Ryman Premier with Enfield Town, returning again to United in October 2016. Again stayed a short time before moving on once more to pastures new. Former Millwall youth midfielder who finally joined United in November 2018 after the club received International clearance from Spain where Eze had been playing for Getafe. Eze made three starts for United but could not force his way into the side on a regular basis and left to join Whitehawk in January 2019. Wide player who arrived at Hayes & Yeading in January 2017 having started the season in the National League with Woking before being released at the turn of the year. Scored the United goal in the Southern League Cup final at St Ives Town before netting the "winning" penalty in the resultant shoot-out to see United lift the trophy at the first attempt. Left sided player who joined United during the summer of 2007 from Windsor & Eton. James scored the Clubs first ever home goal in a 2-2 draw with Weston-Super-Mare but only went on to make 8 appearances before moving to Hitchin Town in December 2007 on dual registration. Striker who arrived at Hayes & Yeading on a short term loan deal from Southern Premier side Chesham United in January 2014. Having spent two months with United, during which many games were called off due to inclement weather, and without finding the net, Inih returned to his parent club in March 2014. Popular striker who re-joined Hayes & Yeading from Chalfont St Peter in the summer of 2017 before going on to have his most successful season with United, scoring 15 times. Always popular with the United faithful, however early in the 2018/19 campaign he found himself down the pecking order and decided to move to Hanwell Town in August 2018. Former United under-18s midfielder who signed for United during the summer of 2017 having ended the previous season with Northwood. Made a decent number of appearances early in the season without nailing down a regular starting position and moved out on dual registration to Potters Bar Town prior to Christmas. Central midfield player who came to United in the summer of 2012 following his release from Brentford. Skilful player who spent a fair amount of time on the injury list during his season with United hence his limited appearances. Departed in the summer of 2013 and joined Welling United. Central defender who arrived at Church Road in the summer of 2009 from defunct side Team Bath. Found a regular place hard to come by in United's Blue Square Premier side and ended the season on loan at Lewes. Released in May 2010 and subsequently signed for Chelmsford City of the Blue Square Bet South. Experienced Conference player who arrived at Church Road in August 2009 having spent the previous season in the Blue Square Premier with Woking. Made just one appearance in the Middlesex Senior Cup against Staines Town. Winger who joined United in the summer of 2013 upon his release from Watford, a club that he he been with since age 11. Found himself surplus to requirements at Vicarage Road at season end with then United manager Phil Babb moving quickly to secure the impressive youngsters signature. Stayed one full season but did not return the next year. Experienced striker who joined United in August 2011 having been released by Shrewsbury Town. Made his name at Brentford before his move to the Shrews which ended with an injury. Struggled to find a starting spot at United and soon went on loan to Hereford whom he signed for in January 2012. Returned briefly during 2014/15 on loan from Dover Athletic. Midfielder who joined Hayes & Yeading in November 2017 making his first appearance in a Middlesex Charity Cup tie at CB Hounslow United where he was named the United 'Man of the Match'. Just a single further appearance was made before Stephen departed for pastures new. Striker who joined United in September 2010 on a month's loan from Crawley Town. Joined Crawley from Eastbourne Borough where he was top scorer the previous season but soon fell down the pecking order as big money signings arrived. Returned to Crawley at the end of the loan. Right sided Venezuela born defender who joined Hayes & Yeading in September 2016. Made a dozen appearances over the season without really nailing down a regular starting spot in the United defence. Young striker who came to Hayes & Yeading in March 2012 on a short term loan from Crawley Town to further his experience. Originally a graduate of the youth system at Peterborough United, Dan was limited to appearances from the bench for United before returning to his parent club at season end. Young striker who joined United in September 2018 having come through the Academy ranks at AFC Wimbledon before joining Metropolitan Police from whom he signed for United. With a starting berth hard to nail down in United's free-flowing attack, he decided to join South Park in December 2018 in search of more regular football. Left sided defender or midfielder who arrived at United in February 2013 from Thatcham Town. After showing well in the reserve side, Adam took his chance in the first team and made a handful of appearances by season end before departing in the summer of 2013. Very experienced defender or central midfielder who joined United in March 2013 from then National League South side Eastleigh. Soon becoming the first, and probably the only player, to score for Hayes FC, Yeading FC and Hayes & Yeading United. With playing restricted, he moved to Bishop's Stortford on dual registration early in 2017. Versatile defender who re-joined Hayes & Yeading in September 2017 having made a single appearance for the club at Hitchin Town the previous season. Became a valuable member of the defensive unit at United but departed in January 2019 for a career in the Welsh League with Connagh's Quay Nomads. Left sided midfielder who was a FEDO graduate and reserve team regular who made his only appearance against Braintree Town as a substitute in the Blue Square South in April 2008, getting himself sent off in the process. Joined Hayes & Yeading in the summer of 2011 having been released by Wycombe. Wide midfielder who was to make a single substitute appearance on the opening day before moving to Hendon on dual registration. Was released by United in October 2011 and assumed stayed at Hendon. Experienced goalscorer who arrived at Hayes & Yeading in February 2018 having been out of the game for the previous nine months. Struggled to find his goalscoring touch at the back end of 2017/18 and despite returning for the next campaign the touch still didn't come and finding himself down the pecking order he decided to move on. Right sided defender who joined Hayes & Yeading in January 2015 having departed Scottish Premiership side Ross County. At season end 2014/15, Jim was voted United Players' Player of the Year. Seemed to come and go for the next 2 seasons before eventually being released whereby he joined Leatherhead. Defender who had 2 spells with United having originally signed from Brentford in the summer of 2010 making the right-back slot his own throughout the season, joining Hampton at the conclusion of it. Returned again in October 2014 although this spell was hit by a serious injury and he departed again at season end. Striker and former Chelsea youngster who signed for United in September 2013 after trials with both Brentford and West Ham. Made a couple of appearances from the bench but was released soon afterwards. Former Watford and Brentford striker who arrived at Church Road in August 2008, vitally scoring three times in United's three play-off games that same season. In United's first season in the top flight Scott was to become the Club's leading scorer with 11. Left in the summer of 2010 to join Wealdstone. Defender or midfielder who joined Hayes & Yeading United in March 2018 from Southern Premier side Kings Langley. Returned the following season making a single start against Ashford Town (Middlesex) in the Isthmian League Cup. Went out on dual registration to Berkhamsted before signing permanently with Coggeshall Town. James came through the youth ranks at top flight sides Tottenham and Queens Park Rangers before a back injury forced his release from Loftus Road. Came to United in November 2011 via The Glenn Hoddle Academy, playing either at right-back or on the right wing. Released March 2012. Central defender who came to Hayes & Yeading on a months loan from League 2 side AFC Wimbledon to bolster the United defence and aid his recovery from injury. Played at both Right and Centre back during his short time with the Club but chose not to extend his stay and returned to Kingsmeadow in September 2011. Quick and skilful wide midfielder who joined United at the end of September 2009 having been released in the summer by Premier League side Tottenham Hotspur. Despite impressing in the reserves, he only made a couple of first team appearances including a start against Staines Town in the Middlesex Senior Cup. Central defender who joined United in August 2018 having been with Molesey the previous season. Made a solitary start for United in an Isthmian League Cup tie at Ashford Town (Middlesex) before being released to join AFC Hayes. Full-back who joined United on a half season loan from League 1 side Stevenage in August 2013. Made the right-back slot his own in his time with United and was also capped again by the Cyprus under-21 side during his time with us. Returned to his parent club at the end of 2013 when his loan expired. Young Australian striker who came to United on a youth loan from Premier League side Fulham in November 2011. Didn't manage to push his way to a regular starting place and having been sent off against Ebbsfleet he soon returned to his parent club. Central defender who joined United in January 2014 from Bideford AFC. Put in some solid performances in the United defence but his commute from the west country was never going to be easy so he opted to join Gosport during the summer of 2014. Returned for brief spells in 2014/15 and 2015/16 but soon departed again, this time to Torquay. Left or right sided defender who played a handful of games for United while on a break from his studies at Durham University. Impressed during his short time with the club but soon returned north to continue his education and re-signed for Durham City. Tall central midfielder who signed for United in August 2011 on dual registration with Burnham. Made his United debut, coming on as a substitute against Barrow. Started the Boxing Day game at Ebbsfleet but was then released in January 2012. Returned for another brief spell early in 2013 but was soon released once more. Talented teenaged midfielder who impressed United manager Nas Bashir during pre-season in the summer of 2012. Having been released by Reading, John went on to be one of the key players in United's efforts to stay up and it was no surprise in the summer of 2013 that he took a step up to join Woking. Dutch midfielder who joined Hayes & Yeading during the summer of 2017 from Slough Town having been with the Rebels for the previous couple of years. Throughout the season a combination of illness and injuries limited him to just seven appearances and at season end he was released. Striker who came to United in March 2014 on a short term loan from AFC Bournemouth. Considered one of the Cherries brightest attacking prospects and has already proven himself as a goalscorer in the Conference South, netting four times whilst on loan at Dorchester Town. Failed to find the net for United and returned to his parent club in April 2014. Winger who joined Hayes & Yeading just a few days into the 2017/18 campaign having ended the previous season in the National South with Hemel Hempstead Town. Earned a regular place in the United side quickly and showed good form before deicding to move on to Ashford United and then on to Royston Town in the Southern Premier. Striker who came to United in the summer of 2009 having been released by Birmingham City. After making a handful of appearances early season, Rob fell somewhat out of favour although he did top score for the reserves with 11 goals. Ended the season on loan at Lewes and subsequently signed for them upon his release in May 2010. Midfielder who re-joined Hayes & Yeading in August 2016 having first arrived in the summer of 2015 after ending the previous season with Farnborough. Again his spell was short lived and he was soon released. Popular left-back who arrived at United from Woking in the summer of 2009 and was almost ever present in his first season. Made 8 Premier League appearances for them, he struggled to nail down a regular place the following season, leaving for Dartford in May 2011. Returned briefly in 2016/17 but work commitments took him away from the game. Former Peterborough United and Dagenham midfielder who joined Hayes & Yeading in March 2015 having been with Ebbsfleet United earlier in the campaign. After a handful of appearances, he was released at season end. Central midfielder who originally arrived on a three month loan from Coca Cola League side Wycombe Wanderers in August 2007. He was snapped up by Garry Haylock in the summer of 2008 upon his release by Wycombe and he scored twice in United's promotion play-off final win at Hampton. Transferred to AFC Wimbledon May 2009. Left sided player who joined Hayes & Yeading in the summer of 2016 after impressing during the pre-season matches. Made three early season starts for United but was soon to be released by then Manager Mickey Lewis. Goalkeeper who came through the academy at Charlton Athletic before moving north to play for Scottish Premier side St Mirren. Having moved back south, Brandon joined United in September 2012 and went on to take command of the number 1 shirt for a good part of the season. Departed in the summer of 2013 and signed for Ebbsfleet United. Gareth came to Hayes & Yeading United as Assistant Manager in May 2007. He is best remembered for his time as a defender with Chelsea and still turns out for the Blues in various Masters tournaments around the world. Made his sole United appearance in a County cup tie at Northwood in December 2007. Energetic and versatile midfielder who joined United just prior to the 2015/16 campaign from fellow National League South side St Albans City. Only made six appearances for United but they covered several different positions on the field prior to his being released in October 2015. Central defender who joined Hayes & Yeading at the end of August 2017 on dual registration from National League South side Hemel Hempstead Town. Never really nailed down a regular starting place in the side and moved to Northwood after a few months with United. Goalkeeper who joined Hayes & Yeading in February 2016 on loan from SkyBet League 2 side Exeter City. He had been understudy to Bobby Olejnik at Exeter and therefore came to United to get some much needed game time which started with a debut clean sheet away at league leaders Ebbsfleet United. Returned to the Grecians at season end. Joined United in the summer of 2010 from Woking. Began his career at Watford, before spending time with Ebbsfleet, Chelmsford and Hemel Hempstead. Took over the United captaincy in August 2011 but was soon on his way to Luton on loan, returning to United at Xmas. Departed at season end and joined Mansfield. Returned briefly on loan early in 2013. Vastly experienced former Reading midfielder who joined Hayes & Yeading United in March 2016 from Basingstoke Town. Scored a tremendous 20 yard volley on his debut as United were beaten 5-2 by landlords Maidenhead United on Easter Monday 2016. Returned for a while the following season before being tempted away by Hungerford Town. Tough tackling midfielder who joined United in November 2013 on a short term loan from Northampton. Made a strong impact on the United midfield in his short time with the club. Released by the Cobblers at the end of the season, Matty again joined United and skippered the side during the early part of the season before leaving to join Hemel Hempstead Town. Queens Park Rangers central defender who arrived at Church Road in February 2010 on loan until the end of the season. Made his debut at Histon just days after signing and went on to make 13 appearances in the United back-line before returning to Loftus Road to push his career ahead with the R's. Australian born striker who joined the Club along with twin brother Adam in January 2013. Made an appearance from the bench and contributed to the move that set up an equaliser at Dorchester but was released 2 weeks later without making a further appearance. Veteran goalkeeper who joined United at the start of the 2010/11 campaign having made over 425 Football League appearances, mainly for Barnet. A season which was interupted several times by injury saw Lee hang up his gloves at the end of the campaign to take up the assistant manager's post at Newport County. Young striker who joined United in the summer of 2013 from Woking where he was a regular reserve having come through the Cardinals academy. Made just a single substitute appearance before being released at the end of August 2013. Wide midfielder who joined Hayes & Yeading United in August 2015 on loan from League 2 side Oxford United. Having made just a solitary appearance from the bench, he returned to his parent side. Attacking midfielder who was an integral part of the United side that earned promotion in 2008/09 having moved over at the point of merger from Hayes FC. Departed United in the summer of 2009 but re-signed in December 2011, failing to make any further appearances before being released in March 2012. Young striker who came through the youth ranks at Brentford and despite having been top scorer in their academy for two years he was surprisingly released in the summer of 2013. Played for Conference Premier side Tamworth earlier this season before joining United, making one appearance from the bench before joining Burnham. Left-back who arrived from QPR in the summer of 2007. Spent most of the previous season on the injury list at Loftus Road having joined from Arsenal in March 2005. Made his sole Football League appearance for QPR at Leicester City in September 2005. Released September 2007. Former Luton Town central midfielder who arrived at Hayes & Yeading in the summer of 2010 from Ebbsfleet United and went on to skipper the side throughout the 2010/11 season. Played for United during the 2011 pre-season but did not sign on for a second campaign. Also made a single goalscoring appearance during 2017/18 in the Middlesex Charity Cup. Central midfielder who joined Hayes & Yeading in November 2016 from fellow Southern Premier side Kings Langley. Tough tackling midfielder who had departed from United before season end, signing for Southall. Young goalkeeper who joined United in the summer of 2008 after spending two seasons with Carshalton Athletic. Began his career as a youth at Woking and last season played in around half of United's fixtures as promotion was secured. Joined Havant & Waterlooville in the summer of 2009. Left sided defender who was a FEDO graduate and reserve team regular before moving to study at Loughborough University. During a break from his studies Bobby made his solitary first team appearance against Chelmsford City in the Blue Square South in August 2008. Former Millwall striker who arrived at Hayes & Yeading on a short term loan deal from Conference Premier side Welling United in February 2014 having been a key player in the Wings promotion the previous season. Poor weather limited his appearances and he returned to his parent club at the end of the initial months loan having found the net once for United. Midfielder who joined Hayes & Yeading in August 2016 on his return to the UK after playing in Norway with Valdres FK. Took a while to settle but soon made a midfield berth his own before departing to Banbury United following a change of management at United. Experienced former Spurs and Yeovil Town full-back who joined Hayes & Yeading during the summer of 2017 from Barton Rovers. Impressed in the games he played but sadly his season with United was interspersed with injuries and by season end he had made just 9 appearances in a United shirt. Striker who joined Hayes & Yeading in November 2016 from Southern Premier side Kings Langley. Quickly re-established a strike partnership with Mitchell Weiss, scoring a hat-trick in a 5-1 win at St Neots Town before being struck down by a reoccurence of an old injury in December from which he had not returned by season end. Much travelled midfielder who joined Hayes & Yeading in March 2017 from fellow Southern Premier side Chesham United whom he joined earlier in the season from Kings Langley where he had scored a freak winner against us. Departed back to Chesham during the summer of 2017. Former Barnet striker who joined United in October 2010 making his debut at Poole Town in the FA Cup. Scored a County Cup hat-trick against Hillingdon Borough and on departure had netted 5 times for United in 11+2 appearances. Released January 2011. Former Brentford striker who joined United from Bedfont Green having moved around frequently for a couple of years after leaving the Bees. In keeping with his much travelled nature Charlie was soon on the move again, this time a return trip to Carshalton Athletic. Right-back who joined Hayes & Yeading in March 2016 on dual registration from Ryman Premier side Grays Athletic. Made five starts for United by season end before returning to Grays at season end. Central midfield player who joined Hayes & Yeading during pre-season 2014-15 having spent the previous season with Tonbridge Angels. Formerly with St Albans & Harrow Borough, David put in some decent performances in his few months with United before being tempted away by Whitehawk in September. Young goalkeeper who came to Hayes & Yeading in August 2012 on loan from League 2 side Wycombe Wanderers. Having started the first four games of the campaign, Matt missed a game through a minor injury but was then recalled by his parent club due to injuries in their keeping ranks. Central defender who joined Hayes & Yeading in the summer of 2013 for an undisclosed fee from Hampton. Was virtually ever present throughout his 2 seasons with the Club and was very much a leader within the side and a rock in the heart of the United defence, twice being named Supporters' Player of the Year. Departed to Maidenhead United in May 2015. Top scorer two seasons running for United's under 18 side who made a solitary first team appearance from the bench in the 2011 Middlesex Senior Cup Final. Youth team left-back who started a couple of Middlesex Senior Cup games, including the 2011 final, at age 17. Another to follow manager Garry Haylock to Farnborough in the summer of 2011. Experienced keeper who joined United in August 2013 having been released by AFC Wimbledon. Proved integral in the good start that United had to the season but lost his place through injury mid-season. Having got his place back, he then missed the crucial end of the season through injury. Kept 11 clean sheets in his 31 games before departing pre-season 2014-15. Forward who joined United days before the start of the 2018-19 campaign working his way to becoming a prominent member of the United attack by Christmas. He impressed so much that National League side Havant & Waterlooville made him an offer he couldn't refuse and he signed for The Hawks in January 2019. Skilful right sided player who came through the ranks from under 18s and reserves at United before making his first team debut in the first game of the promotion season 2008/09. Missed all bar 1 game of 2010/11 through injury before being another to follow Garry Haylock to Farnborough in the summer of 2011. Diminutive striker who joined Hayes & Yeading in November 2015 on a short term loan deal from SkyBet League 2 side Exeter City. Made a goalscoring debut for United, firing in the second goal in a 2-2 draw with Truro City at York Road, returning to the Grecians after scoring twice in 7 starts for United. Left-back who originally came through the FEDO scheme at Hayes FC but moved on to find first team football elsewhere. Arrived at Hayes & Yeading in August 2011 from Hungerford Town and put in some hard working performances before being released in October 2011. Versatile defender or midfield player from the United FEDO graduate scheme who made his sole first team appearance in a January 2015 Middlesex Charity Cup tie at Harrow Borough. Former AFC Wimbledon midfielder who joined United in November 2013 having been released by Conference South rivals Staines Town, making his United debut as a late substitute in a 3-0 home win over Tonbridge Angels. In the few games he played he failed to make a real impression and was released in March 2014. Hard working defender / midfield player who joined Hayes & Yeading in January 2017 from neighbours Northwood. A popular player with the United fans, Frankie always gave 100% but having failed to cement a regular starting place in his second season, he accepted an offer to transfer to Chalfont St Peter in November 2017. Striker who joining Hayes FC in 2006 from Woking where he made 5 first team appearances. A quick forward who showed well for United's reserve side before making his first team debut in September 2007. Released at his own request November 2007. Central defender who joined Hayes & Yeading during the first week of the 2016/17 season from National League South side Oxford City. Started regularly for a few months at the heart of the United defence before moving back to one of his former clubs Enfield Town. Pacey striker who joined Hayes & Yeading United in the summer of 2012 from the Nike Academy. Tobi settled well into the United side and showed good strength leading the front line. Released by mutual consent in January 2013 having secured a new job which curtailed his availability for United. Joined United in March 2011 under Garry Haylock, making just 4 appearances from the bench by season end. Stayed on and progressed under new manager Nas Bashir playing mainly down the flanks and was also used as a forward. Around Christmas he struggled to regain his place in the team and was released in January 2012. Wide midfield player who joined Hayes & Yeading in October 2017 from National League South side St Albans City. Impressed in the first half during his debut against AFC Rushden & Diamonds before a cynical trip saw him land awkwardly, damaging his shoulder. Returned to make 13 appearances before personal issues took him overseas. Experienced striker who joined United in March 2017 on loan from our National South neighbours Wealdstone. Worked tirelessly in his short spell with the club, all of his goals coming in a hat-trick in a 5-0 win over Cinderford Town. Returned briefly during 2017/18 but with only 1 strike in 11 further games he was released. Central defender who joined Hayes & Yeading during the summer of 2012 having spent time during the previous season with Kingstonian, Walton & Hersham and Whyteleafe. Played mainly in United's reserve side but did make a sigle fleeting appearance from the bench for the first team against Welling United. Released in March 2013. Left winger who joined Hayes & Yeading in October 2014 from Leatherhead. Showed well on his debut at Staines Town but having started the next game he opted to return to Leatherhead having made just 2 appearances for United. Academy graduate who impressed then Manager Phil Babb leading to his signing first team forms in October 2014 at age 16. A prolific scorer at youth level, Dylan didn't really bring that scoring touch to the senior side and having failed to nail down a starting spot he decided to move on in the summer of 2017 whereby he was hitting the net regularly with Uxbridge. Combative midfielder who joined Hayes & Yeading on dual registration from National League side Boreham Wood in December 2017. Made a handful of appearances without really making a major impression and returned to the Wood before season end. Defender who was snapped up by Hayes & Yeading in November 2016 having commenced the season in the National League South with Hemel Hempstead Town. One of about a dozen right-backs used in the campaign and after a single game he was approached by Kettering Town and transferred to them as it made travelling much easier from his home. Central midfielder who arrived at Hayes & Yeading United in February 2016 on a one month loan from SkyBet League 2 side Barnet. Came to United to gain some competitive first team experience, returning to the Bees at the end of his initial loan period. Midfielder who joined Hayes & Yeading United in August 2015 having spent the previous campaign with Ebbsfleet United. Showed good speed and sharpness in his first few games but appeared to tail off and was released in October 2015 whereby he signed for Hampton & Richmond Borough. Striker who briefly joined Hayes & Yeading in September 2016 having been released by then Premier League Champions Leicester City in the summer. Made a couple of starts with little impact before returning back north. Goalkeeper who joined United in August 2014 from Histon with his early season performances seeing him called up to the England "C" team, starting against Turkey in October. His form with United however dropped a little and he was displaced as starting 'keeper by Grant Smith towards season end. Left during the summer of 2015 and signed for Cheltenham Town. Hard working striker who joined Hayes FC in 2004 from Northwood before continuing with United at the point of merger. Between the 2 clubs he made a total of 224 appearances hitting the net 58 times. Joined Hampton & Richmond Borough, February 2009. Former Hayes FC youth product who eventually found his way back to his roots from Spanish side CD Castellón in January 2012. Spent the early part of the season with Conference rivals Kettering Town. However he was to make just a solitary appearance for United before being released in March 2012. Right sided attacker who joined Hayes & Yeading United in August 2015 having impressed during pre-season. Evans suffered a major injury the previous season while with Chelmsford City and although now fit was released after a handfull of games for United. Emergency signing goalkeeper who joined Hayes & Yeading in October 2017 and was immediately plunged into action with both Jack Smith and Luke Daley unavailable for the fixture at Ashford Town which saw United beaten 4-0. Young striker who joined United in March 2014 on loan from Conference Premier side Kidderminster Harriers. Worked hard in the United forward line without finding the net with any regularity, his two strikes however earned United six vital points that ultimately proved not to be enough. Returned to his parent club at season end. Young striker who joined United in November 2014 on a short term loan from League 2 high flyers Southend United. Got off to the perfect start, netting twice on his United debut against Horsham in the FA Trophy. Netted one further time in his following six appearances before returning to his parent club at the end of his loan spell. Joined United in February 2008 on loan from Oxford United and ended up spending the rest of the season at Church Road. A pacey forward who struggled to secure a starting berth but still netted four times. Returned to Oxford at the end of the season before joining Woking in the summer. Experienced and much travelled former Yeading FC midfielder who joined United from Lewes in October 2011. Dwane was in and out of the United side during the season before departing at season end for pastures new. Right-back who came through the clubs youth system to make his first team debut aged 16 years 133 days in the FA Cup against Cambridge United in October 2011 earning him the honour of becoming the Clubs youngest ever player. Made a handful of appearances from the bench before leaving to join Hitchin early in 2013 in search of regular first team football. Goalkeeper who arrived at Church Road in August 2010 having ended the previous season with Dorking Wanderers. Injuries to Lee Harrison saw Josh getting much playing time and after a shaky start he became confident and starred in a 1-0 victory at Darlington. Left in October 2010 to move north for family reasons. Goalkeeper who joined United in August 2015 after showing well during pre-season. Dan had been with the Reading Academy since 2003 receiving a 2 year scholarship at 16 before being signed as a professional and advancing into the first team squad. Kept the first of his 8 UNited clean sheets on his debut in a 0-0 draw against Havant & Waterlooville. Central defender who joined Hayes & Yeading United in October 2017 from Cockfosters, making a successful debut in a 1-0 victory over AFC Rushden & Diamonds. Soon earned a regular place in the side before making a big decision in January 2018 to move to South America to play football in Peru along with Darnell Shakes. Commanding central defender who transferred to Hayes & Yeading from Barton Rovers in December 2016 to bolster and add experience to United's porous back line. Stayed to season end before opting to sign for Chesham United during the summer of 2017. Nomadic striker Louis, a former Yeading FC player, joined United In January 2011 after a very brief stint with Weymouth. Strong and hard working holding forward who more often than not left his shooting boots at home. Released of his own volition March 2011. Prolific scorer at under 18's for United who despite failing to break into the first team on a regular basis will always have a place in the United record books as the first ever player to net a first team hat-trick, this coming during an 8-2 County Cup win at Hillingdon Borough. Released May 2010. Teenaged striker who joined in January 2013 on a months loan from npower League 2 side Barnet. Made an instant impact hitting the net three times in his first two appearances, both from the bench. Returned to his parent club at the end of the initial loan period. Midfielder who joined Hayes & Yeading in January 2016 following his release by Staines Town. Made a goalscoring debut against Hemel Hempstead Town in late January and was a regular in the side to season end but did not return the following season. Experienced defender who came to United in December 2008 from Bognor Regis Town. Gary had played for Peterborough and gained an FA Trophy winners medal with Ebbsfleet in 2008. Signed for Havant in June 2009 but returned to United in August 2014 for a second spell before moving on to Slough as he wanted to continue playing rather than just coaching. Midfielder who arrived at United at the end of August 2011 having returned from representing GB at the World Student games in China. A much travelled player who ended the previous season with Bath City. Released by manager Nas Bashir at the end of October 2011. Experienced striker who joined Hayes & Yeading in May 2016 from Basingstoke Town. Started well for United without being prolific in front of goal until receiving a nasty injury from a needless tackle from behind while scoring against Merthyr Town. Departed to Metropolitan Police soon after regaining fitness. Reserve team midfielder who made a single substitute appearance for United in a Middlesex Senior Cup tie at Northwood in December 2007. Diminutive attacking midfield player who joined Hayes & Yeading in January 2017 from Ryman Leaguers Whyteleafe. Made his United debut as a substitute in a League Cup Quarter-Final win over Chalfont St Peter. Departed at season end. Striker who joined United at the end of August 2010 on a short term loan deal from fellow Blue Square Bet Premier side Crawley Town. Always full of energy, Michael made the attacking wide right position his own during his 3 months with the Club before returning to Crawley in November 2010. Much travelled former Yeading midfield player who arrived at United in November 2007 from Barton Rovers on dual registration. Made 18 Football League appearances for Wycombe Wanderers in 2003/4. Released July 2008. French midfielder who arrived in September 2011 having been playing in the Championnat National, the third division of French football with Bayonne. Made three appearances from the bench without establishing a regular place in the squad and was released in November 2011. Wide player who joined Hayes & Yeading in November 2016 from Salisbury having also spent time with Kings Langley earlier in the season. Was in and out of the side throughout the campaign and at season end he departed for Northwood. Neil originally arrived at Church Road at the start of the 2008/9 season on a one month loan from Exeter City. Neil departed the Grecians at the end of his loan spell and immediately signed for United. Released October 2008. Proven goalscorer who joined United in the summer of 2007 from Wealdstone thus becoming the new clubs first ever non Hayes or Yeading signing. Scored United's first ever goal at Lewes in a 2-1 opening day defeat. Transferred to St Albans City in February 2008. Hard working central midfield player who arrived at Church Road from St Albans in November 2007. Ram quickly became a fans favourite with his solid displays in the middle of the park and picked up the 2010 United "Goal of the Season" award for his overhead kick against Barrow. Released in May 2010 and consequently joined Ebbsfleet. Former Aldershot Town and Brentford keeper who came to Church Road in February 2010, immediately taking over the starting position. Managed just 2 clean sheets in his 15 games, both against Grays Athletic and was subsequently released at the end of the campaign. Scottish born midfielder who spent the final 6 weeks of 2010/11 at Church Road on loan from Crawley Town. Steve scored 19 times in over 100 games in the Scottish League's before his move south. His dead ball and slick passing skills played a big part in helping United remain in the top flight before returning to Crawley at season end. Diminutive striker who joined United in January 2008 having spent time with both Northwood and Harrow Borough earlier in the season. Began his career with Chelsea before moving on to Watford and Aldershot Town. Released July 2008. Experienced central striker who came to Hayes & Yeading on a short term loan from Gosport Borough in March 2015. Made a goalscoring debut in a defeat to Hemel Hempstead Town before struggling with injury towards the end of the campaign. Returned to Gosport at season end. Defender who joined United in the summer of 2017 having spent two successful years with Royston Town where he was an integral part of their promotion campaign. When fit Danny was a key member of the squad however injury deprived Paul Hughes of his services at several points during the season and he was released at season end. Former Cheltenham Town midfielder who transferred to Hayes & Yeading in October 2016 from fellow Southern League side Kidlington. Made a single start at King's Lynn Town and was released soon after. Moved to Australia in May 2017 to play in the second tier for Hobart Warriors. Exciting striker who arrived in August 2011 on a short term loan from Wycombe Wanderers. Made a goalscoring debut against Alfreton but sadly his loan spell was to only last that first 70 minutes as a serious injury ruled him out for several months and he returned to Adams Park. Teenaged defender who joined in January 2013 on a months loan from npower League 2 side Barnet. Made just a single appearance from the bench before returning to his parent club at the end of the initial loan period. Central defender who joined United just prior to the start of the 2015/16 season following his release in March 2015 by Gillingham where he played alongside United's Harry Grant. Became a United favourite and key player in the United defence before accepting an offer to drop down a league with Staines Town in February 2016. Guyana International goalkeeper who arrived at Hayes & Yeading just prior to Christmas 2017 on a short term loan from League 2 side Barnet. Impressed in his five appearances for United keeping 3 clean sheets and making two saves in a League Cup penalty shoot out before returning to his parent club after his months loan ended. Younger brother of Kai (above) who arrived at Hayes & Yeading in mid January 2018 replacing Kai as cover for the injured Jack Smith. Renell made a single appearance during his "work experience" deal from League 2 side Barnet, this being in a club record 9-1 victory at Arlesey Town. Talented under 18 midfielder who made a solitary substitute appearance for the first team in a December 2015 Middlesex Senior Cup tie against Hampton & Richmond Borough. Young wide player who arrived at United in August 2010 having come through the youth system at Southampton. Daryl played mainly in the reserves but was reliable when called into first team action, none more so than when he scored a vital third goal in the FA Cup tie at Poole Town. Returned for a brief spell in 2012/13 before departing again in the summer. Left-back / wide midfielder, George arrived at United in March 2015 on a short term youth loan from Championship side Reading. Started well for Hayes & Yeading with a goal and man of the match performance in just his second game for the club. Made a steady contribution during his short time with the Club before returning to Reading at season end. Skilful midfielder who came to Hayes & Yeading in March 2013 on loan from Millwall to further his experience. Good on the ball and a good passer who did well in his short time with the club before returning to his parent club at season end. Joined Hayes & Yeading in March 2011 from Potters Bar Town as goalkeeper cover, making his debut in a 4-0 victory over Mansfield Town. Formerly with QPR and a graduate of the Glenn Hoddle Academy in Spain. Did not return for the 2011/12 campaign. Striker who joined United in the summer of 2013 from Bromley having previously seen service with amongst others Bradford City, Mansfield Town and Kidderminster. Struggled to nail down a regular place in the side and following a spell on the injury list was released in October 2013. FEDO graduate who progressed from youth team to reserves but never really broke into the first team reckoning. Spent a couple of seasons playing in the Finnish leagues to further his experience but did not figure in the Manager's plans for 2010/11. Hard working midfielder who joined Hayes & Yeading in the summer of 2017 after a spending a few years at Royston Town whom he had helped to promotion the previous season. Soon became a fans favourite with his competitive attitude however at season end after United lost in the pay-offs he decided to return to Royston for the next campaign. Hard working midfield player who arrived at Hayes & Yeading in the summer of 2013 from League 2 side AFC Wimbledon. Was a regular throughout his first season with United and having "left" during the close season, returned at the start of the season only to be released early on, joining Bishop's Stortford. Former Brentford youngster who joined Hayes & Yeading in August 2015 having impressed in pre-season. Started a few games early in the season in the United midfield but was soon released. Defender or midfielder who spent season 2013-14 with United having joined from Staines in the summer. A popular player who took away United's "goal of the season" award at the end of the year. Opted to join newly promoted neighbours Wealdstone during the summer of 2014. Returned to add 9 further games either side of a serious injury but was released. Watford winger who came to Hayes & Yeading towards the end of March 2012 on a months loan to get some more first team action under his belt. Diminutive and very skilful, Piero impressed in a United shirt scoring against both Lincoln City and Mansfield Town before returning to the Hornets at season end. Tall central midfielder or striker who joined United in October 2013 from Redbridge after he made a goalscoring start to the Ryman season with the Essex club. Spent time out on loan to Billericay before returning to play a part in the last few games of the season. Departed during the summer of 2014. Vastly experienced central defender who joined United in August 2017 from Mildenhall Town. After just seven appearances for United Mat departed and duly signed for Bostik Premier side Enfield Town. Former Staines Town striker who joined Hayes & Yeading in September 2017 having commenced the season with Gosport Borough. Made four appearances before being deemed surplus to requirements whereby he was released to join divisional rivals Aylesbury United. Central midfielder who captained United's reserve side to victory in the Capital League President's Cup in May 2013 and was subsequently promoted to the first team the following season. Made his debut in August 2013 against Eastbourne Borough but found chances limited and moved on, signing for Metropolitan Police. Tall powerful striker who joined Hayes & Yeadng in late December 2014 having been made a free agent by the demise of Hereford United. Made a pair of starts without making much impact and was released. Left-sided midfielder who came to United in November 2010 on a one month loan from Dagenham & Redbridge however at the end of the initial month he decided not to extend his stay returned to the Daggers. Came again to United in February 2017, this time on loan from St Albans City before again returning to his parent club. Former QPR defender who joined Hayes & Yeading in February 2015 from Heybridge Swifts. Played across the defence towards season end before being released during the summer whereby he joined Havant & Waterlooville. Returned to United on loan from the Hawks in December 2015 and at season end left the Hawks for Bath City. Right-sided full-back or midfielder who joined United initially on loan from Boreham Wood in December 2014 before signing permanently in March 2015. His experience and influence were a big part of United avoiding relegation although he did receive a nasty injury towards the end of the season and although returning briefly in pre-season, he was not retained. Former Blyth Spartans defender who joined United in November 2011 from the Glenn Hoddle Academy. Made his debut at Alfreton Town filling in at right-back. A former Republic of Ireland Under 21 international, Callum made 3 further appearances and was released in January 2012. Former Charlton defender who joined United in December 2011 immediately making the right-back slot his own. Soon became a firm fans favourite but struggled to hold down a regular place in the starting line-up before departing to struggling npower League 1 side Portsmouth in January 2013. Returned to United in August 2017 for a second, but brief, spell. Central defender or midfielder who spent two seasons as been an integral part of United's successful under-18 Academy side. Promoted into the first team squad in October 2015, Colin made his National League South debut at the end of the same month at Dartford. Was a regular in the squad for the first part of the following season but departed mid-season. Right sided defender who joined Hayes & Yeading in January 2017 from United Counties League side Leicester Nirvana having previously been with fellow Southern Premier sides Banbury United and Kettering Town. One of many right-backs tried out during the campaign, as with most never really nailed down the starting position and departed before season end. With United from the point of merger having come through the ranks at Yeading. James is a genuine play anywhere man who spent over three seasons at Church Road clocking up a record 150 appearances and was the last player that played in the historic first game to depart, in October 2010. Returned briefly in 2012 on loan from AFC Wimbledon. Zimbabwe born winger who joined Hayes & Yeading in February 2016 having started the season in the National League with Torquay United. Made a goalscoring debut for United against Dartford before departing at season end. Popular wide midfield player who joined United in July 2014 having been with Harrow Boro' the season previous. At season end Rhys's strike from distance at Chelmsford was voted "Goal of the Season" by the United fans. Failed to nail down a regular starting place the following season and signed for Dulwich Hamlet after a successful spell on dual registration. Young left winger who came to United in March 2014 having come through the ranks at Chelsea and latterly Stoke City. Is a tricky winger with good pace, Andrew returned for a trial during pre-season 2014-15 but was not re-signed. French-Senegalese central midfielder who joined Hayes & Yeading in October 2012 having ended the previous season with npower League 2 side Barnet. Was played as a striker at United due to his height and although he found the net 7 times he was released early in 2013. Skilful midfielder who joined Hayes & Yeading United in August 2015 having departed League 2 side AFC Wimbledon in January. A product of the Tottenham academy, Jake immediately became United's dead-ball specialist however he was somwhat suprisingly released in October after just 11 appearances, joining Walton Casuals. Former Wales under 17 international who joined United at the end of August 2011. Midfielder who came through the youth ranks at Fulham before being dogged by injuries. Made just two appearances from the bench for United before being released to join Lewes in September 2011. Highly rated young Fulham goalkeeper who joined United on a season long loan from the Championship side in August 2015. Was struck down by an injury having made just two appearances for United and was recalled to Craven Cottage. FEDO product and regular reserve team player during 2009-10, made his solitary first team appearance in October 2009 in a Middlesex Senior Cup tie against Staines Town. Released in the summer of 2010. Left-back who moved to United from Hayes FC at the point of merger in the summer of 2007. Originally joined Hayes from Harefield United and was virtually ever present during his only season with the Missioners. Failed to establish a starting position with United and was transferred to Fisher Athletic in October 2007. Winger who joined Hayes & Yeading in February 2016 on a one month loan deal from SkyBet League 2 side Barnet. Made his League 2 debut for the Bees against York City in October 2015 on his 19th birthday and came to United to gain some more competitive first team experience. Returned to Barnet at the end of his initial loan spell. Teenaged Millwall striker who came to United in March 2012 on a short term loan to further his experience. Despite not scoring for United, Aiden showed great promise and an excellent work ethic before returning to the Lions in April 2012. Prolific goalscorer at lower levels who joined Hayes & Yeading in September 2012 having been released for financial reasons by Windsor. Never really worked his way into the United side, making three fleeting appearances from the bench before being released in November 2012. Striker who joined United in September 2014 having been released by League 2 side Dagenham & Redbridge during the summer. Another who failed to shine up front for United in what was a season of struggle in front of goal. Released after four appearances in Phil Babb's side. Striker who joined United on the eve of the current season having previously played in Canada with the Victoria Highlanders in British Columbia. Gave some impressive showings early in the season but seemed to get frustrated at not being able to nail down a regular place in the United starting line-up and decided to join Mildenhall Town. Junior joined United in January 2015, impressing on his debut in a Middlesex Charity Cup tie at Harrow Borough. Made his Conference South debut shortly afterwards, coming off the bench to score at Bishop's Stortford. A pacy but raw forward who was released just before the end of the campaign. Pacey defender or winger who joined Hayes & Yeading in August 2016 from Waltham Abbey of the Ryman League. Used mainly as a substitute before being released. Under 18s defender who made a solitary first team substitute appearance for United in a Middlesex Charity Cup tie against AFC Hayes in April 2018. Moved to Wingate & Finchley in the summer of 2018 and scored a hat-trick against United in the 2018/19 FA Youth Cup. Right sided defender or winger who joined Hayes & Yeading United in August 2016 after showing well in the pre-season games following his release by Colchester United in the summer. After just 3 starts however he was released by then Manager Mickey Lewis and joined Haringey Borough. Winger who joined Hayes & Yeading in August 2015 on a short term loan deal from fellow National League South side Ebbsfleet United. Alex stayed with United a month and impressed with his touch and speed however United were unable to extend the loan further and he returned to the Fleet with 8 games and 2 goals to his name with United. Right-back or right sided midfielder who joined Hayes & Yeading United in March 2016 from Ryman League side Cray Wanderers having played and scored for United's reserves a couple of seasons earlier. Made his United debut on Good Friday at Havant and Waterlooville and did not return the following season. Under-18 goalkeeper who made a single somewhat inauspicious appearance as a substitute when Louis Wells was sent off at Chippenham Town in November 2016. This taste made him want more first team action and as it was not forthcoming at United he left the club to join Brentwood Town. Goalkeeper with plenty of non-league experience who joined Hayes & Yeading from Bostik Premier side Leatherhead in February 2018 going on to keep five clean sheets in his 14 United appearances. Opted to move up a division during the summer and signed for Hendonin the Southern Premier. Much travelled keeper who came to United in the summer of 2009 immediately claiming the number 1 position in the Clubs inaugural season in the top flight. Lost his starting place in the last third of the season and was released in May 2010 at the end of the campaign. Left sided defender who arrived at Hayes & Yeading just prior to Christmas 2015 on a work experience deal from Championship side Brentford. Comes to United to get some first team action under his belt however having made his debut on Boxing Day against Weston-super-Mare only one further appearance followed before he returned to the Bees. Striker who returned for a second spell with United on dual registration with Leatherhead in March 2013. Having found playing time hard to come by and no further goals being added to his tally, it was not surprising that he departed United in the summer, presumably to return to Leatherhead. Experienced striker who had a short loan spell at United in November 2011, arriving from League 2 side Barnet. A powerful striker who made an impressive debut away at Stockport County but having failed to find the net in his four games the loan was not extended beyond its initial month. Young striker who joined United in the summer of 2012 following his release by Tottenham. A skilful striker with pace who opened his account on the opening day and went on to become the second highest United scorer in a single season with 19. Moved north in the summer and secured an excellent deal with Dundee United in Scotland. Experienced former QPR striker who arrived at Hayes & Yeading in August 2011. Found the net on his debut against Alfreton and and three further times. After struggling to hold down a regular place as the season progressed, Richard was released by mutual consent in December 2011. French striker who began his career with Nice in the French first division before spending time with other sides in France. Joined United in September 2009 playing for the reserves and making a solitary first team apppearance in the Middlesex Senior Cup. Released November 2009. Striker who progressed through the ranks at Hayes FC from the youth and reserve sides before making his first team debut in November 2006 at Braintree Town. Had loan spells last season with both Maidenhead and Eastleigh before opting to sign for the latter in the summer of 2010. Former Nottingham Forest youngster who joined United in August 2013 and made his only appearance soon after against Eastbourne Borough on August Bank Holiday Monday. Released in September 2013. Wealdstone skipper who joined United in January 2017 on a months loan to regain fitness after injury. Solidified the defence immediately, even having time to net the winner in a 2-1 victory over Redditch United. Recalled by his parent club at the end of the months loan. Experienced left-back who joined and departed United in September 2013 having made a single appearance against Chelmsford City replacing the suspended Adam Everitt. 20 year-old defender who came through the ranks at Exeter City before joining United in April 2009. Mainly played in the reserve side and was also out on dual registration with Wealdstone and Burnham. Played against United during the 2011 pre-season for Salisbury City. Experienced Romanian striker who joined United in September 2010 on a three month loan from Leyton Orient. Scored and was sent off on his debut at Kidderminster and suffered lost playing time through injury during his spell, returning to fitness just in time to score before returning to Brisbane Road in early December. Joined Hayes FC from Uxbridge at the start of the 2006/7 season and regularly saw action at both under 18 and reserve team level. Played first team football as a 16 year old at Uxbridge and made his Conference South debut for United as a substitute for the injured Kevin Davies in August 2007. 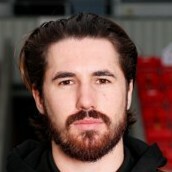 Experienced former West Brom and Southampton defender Pedro Monteiro, known as Pelé, joined Hayes & Yeading from Hednesford Town in January 2012. Immediately became a lynchpin in the United defence using his experience and know how to great effect. Released due to injury in March 2013 and immediately signed for Havant & Waterlooville. Colchester United keeper who had two emergency loan spells with United during the 2011/12 season. Began his career with Leicester City, making a single League appearance for the Foxes. Joined United in August 2007 and proved a superb signing as he picked up both the Supporters and Football Club Player of the Year awards in May 2008, United's first season. Suffered from injury the following season but still played a major part in the play-off success betting the first at Eastleigh in the semi. Released August 2009. Defender who can play all across the back four, joined Hayes & Yeading in September 2016 having ended the previous season with Brackley Town. Made just two appearances before returning back north. Goalkeeper who re-joined United in November 2015 having started out in the Clubs under 18s a few years previous. Made his sole United appearance in December 2015 against Hampton & Richmond Borough in the Middlesex Senior Cup. Striker who joined Hayes & Yeading during the summer 2017 having ended last season with Brackley Town. Scored against United in a friendly whileon trial at Hemel Hempstead before signing on with United at the start of the season. Made just two appearances from the bench before moving to Barton Rovers. Goalkeeper and fans favourite who returned to United in January 2011, extending his own Club record to 22 clean sheets. Took over as player/coach in June 2011 yet still found himself in the action on 9 occasions before hanging up his gloves at season end. Made another return from the bench in April 2014 and again in October 2014. Wide midfielder who made a sngle United appearance as a trialist in December 2018 against CB Hounslow United in the Middlesex Senior Charity Cup. Central midfield player who came through the ranks at Hayes FC before signing on with United at the point of merger. Rhys had featured 13 times for Hayes but failed to establish himself in the managers plans at United. Midfielder who hit the net 15 times in his only season at United having arrived from Tamworth in July 2010. A hard working player with a definate eye for goal that saw scouts flocking to Church Road towards the end of the season. As the season finished, Charlton Athletic were quickest off the mark and Bradley duly signed for them. Veteran no nonsense defender with over 500 professional appearances who joined United in January 2016 in an attempt to bolster United's somewhat porous defence. Despite solidifying the back-line it was not to be enough and United were relegated. Darren then joined Chesham United during the summer of 2016. Striker who joined Hayes & Yeading in January 2017 on a short term loan from fellow Southern Premier side Slough Town in an attempt to boost United's goals for tally. Made a goalscoring debut against Kettering Town but was recalled by the Rebels at the end of his month with United. Attacking midfielder who arrived at Hayes & Yeading United in the summer of 2017. Had recently been a member of the development squad at Championship side Brentford. Looked good in pre-season but took umbridge at being subbed on his debut at Marlow, did not return and was duly released. Experienced striker who spent time with Yeovil, Weymouth, Bath, Salisbury, Newport and AFC Telford before joining United in August 2013. Soon proved to be a fine signing for United with his general play and all round abilities showing well which led to his being United's top scorer just before Xmas when he left for title chasing Bromley. Left sided player who spent the final 6 weeks of 2010/11 at Church Road on loan from League Champions Crawley Town. A former Brighton player who played a big part in helping United remain in the top flight. Returned to Crawley at season end and was released by the Reds only to be snapped up straightaway by Gateshead. Versatile defender who joined Hayes & Yeading United in September 2017, making his debut the following month as a substitute against AFC Rushden & Diamonds. Was a regular in the side during his first season but found playing opportunities limited the following season and in November 2018 he joined Cambridge City in search of more regular football. Attacking midfielder who arrived at Church Road at the end of August 2009 from League 2 side Dagenham & Redbridge. Playing mainly for the reserves, Kraig made a solitary first team apppearance in the Middlesex Senior Cup against Staines Town. Released November 2009. Defender who joined Hayes & Yeading during the summer of 2017 after showing well during pre-season. Started the season with a regular place in the United defence but departed midway through the campaign. Defensive midfielder who joined United in January 2012 having spent time with both Eastleigh and Hereford earlier in the campaign and was previously with Stockport, where he was voted "young player of the year". Only spent a short time with the club and was released on deadline day at the end of January 2012. Much travelled striker who joined Hayes & Yeading in March 2017 from fellow Southern Premier side Slough Town, scoring on his debut against Chippenham Town. Struggled to overcome a pre-existing injury and only made four appearances for United before departing. Central defender who arrived in August 2008 from Woking. His arrival at United saw the start of an 8 League match winning run after 2 defeats at the start of the campaign and promotion via the play offs that same season. Released in July 2010. Made a welcome return in July 2014 but decided to take a break from football halfway through the campaign. Central midfielder who joined United in January 2017 from Bedford Town via a dual registration deal with Wealdstone of the National League South. Scored for Fulham in the 2014 FA Youth Cup final and worked tirelessly in the United midfield which brought him to the attention of St Albans City who promptly snapped him up. Central defender who joined Hayes & Yeading United in August 2015 after showing well during pre-season. Made his United debut in a goalless draw against Havant & Waterlooville in August 2015 however he only made one further appearance before being released. Experienced defender who came to United in March 2013 having been released earlier in the season by Eastleigh. Spent time with Southend, Boreham Wood and Farnborough and started well for United but by season end he had lost his starting place and moved on in the summer, joining Ebbsfleet United. Nevin signed for the Club at the point of merger having been with Yeading FC for several seasons, leading them to Isthmian League Cup glory as early as 2003. Started out with Brentford, Nevin will remain in the Club's record books as being the inaugural first team captain. 20 year old central defender who joined United on a short term loan from Southampton at the start of season 2011/12. Made a couple of starts covering at left-back but could not force his way into his usual centre-back place before returning to the Saints in October 2011. Wideman who joined United in August 2013, scoring a vital winner at Dover shortly after his arrival. Was in and out of the side for the next few weeks before deciding to move on in October 2013 whereby he signed for Tonbridge Angels. Josh arrived as a 16 year old via the FEDO scheme, having spent 8 years at Church Road, the 24 year old found the lure of a 3 year pro contract with Dagenham & Redbridge too tempting and he departed the Club in June 2009 on a free transfer. In his final season with United Josh was second top scorer in the Blue Square South. Calum came to United during the summer of 2007 from Amersham Town. A strong central defender who after impressing in the reserves made his first team debut against Herne Bay in the FA Cup at the end of September 2007. Reserve team midfielder from France who made a single appearance for United in a Middlesex Senior Cup tie at Northwood in December 2007. Central defender who joined Hayes & Yeading in December 2015 from Southern Counties East League Premier Division side Lordswood. Made his United debut and sole appearance in December 2015 against Hampton & Richmond Borough in the Middlesex Senior Cup. Right sided defender who joined Hayes & Yeading in November 2017. Made his United debut in a 3-1 victory over Slough Town in the BFB Challenge Cup, however, before establishing a regular place in the side he made a big decision to move to South America in January 2018 to play football in Peru along with fellow defender Komal Llewellyn-Reid. Experienced goalkeeper who joined Hayes & Yeading during the summer of 2018. Started the season between the sticks covering for the injured Jack Smith, keeping 3 clean sheets in 5 appearances before being displaced by a fit again Smith. Departed for Three Bridges at the end of October 2018 in search of first team action. Central or right sided defender who joined Hayes & Yeading in August 2016 on a short term loan deal from National League side Dagenham & Redbridge. Returned to his parent club after the initial month on loan. Right sided defender who joined United in November 2015 on a youth loan from Reading FC where he was a second year scholar. Started 7 times in the full-back role but return to the Royals after just a month on loan. Polish midfielder/defender who became new manager Phil Babb's first signing in May 2013 from Ryman League side Kingstonian. Szymon however managed only a single appearance from the bench before departing to pastures new. Midfielder or right-back who joined Hayes & Yeading United in November 2015 from Ryman Leaguers Tooting & Mitcham United. Made his United debut at Bath City in the first week of December 2015 but had departed by season end. Man mountain of a striker who joined United in the summer of 2016 from Harefield United having shown well in pre-season. Although a tall striker, his lack of mobility at times meant he was possibly playing above his level and was soon released when the new management team arrived at United. Former Norwich and Charlton midfielder who joined Hayes & Yeading in November 2011 on dual registration from Arlesey Town. Made a scoring debut at Stockport County, netting after just 13 minutes, but only made 1 further appearance before opting to put his efforts into his other team Arlesey. Released from dual registration January 2012. Impressive youngster who can play wide on the left or up front, joined the United Academy in the summer of 2016 and played in a couple of pre-season 1st team fixtures. Made his first team debut at 16 against Worthing in the Emirates FA Cup in September 2016 becoming the first player born this millennium to make a first team appearance for United. Attacking midfielder who as a member of United's successful Academy side won both the Ryman Youth League and the Middlesex Senior Youth Cup where he scored twice in the Final. Never really got the rub of the green in the first team and his potential seemed to be wasted, departed prior to the end of the 2016/17 campaign. Under 18 Academy midfielder who made a single substitute appearance in a 2014/15 Middlesex Senior Charity Cup tie. Midfielder or central defender who joined Hayes & Yeading in February 2015 on a short-term loan from fellow Vanarama Conference South side Chelmsford City. Was scheduled to return to United permanently the following season but a late pre-season decision by management not to sign him saw him sign for Bishop's Stortford instead. Goalkeeper who joined United in September 2014 before departing for Farnborough only to return in November. Soon became established as United's starter, deposing England C 'keeper Calum Kitscha and in his 22 appearances kept 7 clean sheets. Left at season end to join Bognor Regis Town who were more local for him. Versatile defender who joined United on a season long loan from National League side Eastleigh in December 2016. Worked hard in his time with United as either a right sided or central defender before returning to his parent club at season end. Central midfielder / defender who joined United just before Christmas 2013 and featured in both of the festive games. Decided to leave at the start of January and had his registration cancelled by mutual consent. Central defender who joined Hayes & Yeading during the summer of 2017 from Barton Rovers and was immediately appointed as club captain. Missed a large chunk of the season pre-Christmas but returned to lead United to the play-offs where his side lost out, for the second season running. Chose to sign for Biggleswade Town in the summer of 2018. Attacking midfielder who joined United in August 2011 having ended the previous season with Southend. Made an instant impact at United and in just over half a season he found the net on 16 occasions and he was soon snapped up by Grimsby Town. Returned to United in September 2013 adding 3 more goals to his tally before leaving again in November 2013. Left-back who joined United during the summer of 2008 from Welling United, with whom he had spent the past three seasons. A pre-season broken ankle curtailed the start to his career and at the time of departure he had just three appearances to his name. Full-back who can play on either side of defence, joined United in September 2011 having ended the previous season at Mansfield Town. Soon made the left-back slot his own but having been moved from the left to the right side during 2012/13 he was then released in February 2013 after a change of management with Nas Bashir departing. Versatile player who can play on either side of defence or in midfield, Mason joined United at the end of October 2014 from Southern League Premier side St Neots Town. Became popular with the United supporters for his tireless efforts but at times struggled to nail down a regular spot in the side before departing to join Chelmsford City mid-campaign. Striker who impressed Phil Babb playing against United in a pre-season friendly for North Greenford United and was promptly signed for the 2014/15 campaign. Scored on his home debut, before moving to Walton Casuals to further his experience but did not return to United during the campaign. Became an X-Factor winner in 2017 with the band Rak-Su. Right-sided defender who joined Hayes & Yeading United in January 2017 from Wingate & Finchley. Never really nailed down a place in the side and despite returning during the following pre-season he was released to join Hanwell Town without adding to his six appearances. Midfield player who joined Hayes & Yeading on the eve of the 2017/18 campaign from Flackwell Heath however after one solitary appearance he was released and joined Egham Town. Young goalkeeper who joined United in March 2013 on a short term loan from Aldershot Town. In his short time at the club, Milan made 4 starts and kept a rare United clean sheet in a 4-0 victory at Bromley. Returned to his parent club at season end. Former Latvian International who joined United in February 2010 from Bath City as the manager brought in some added experience in the midfield. Played in the top flight with Fulham whom he joined from Spartak Moscow. Andrejs scored on his United debut at Histon but was released in May 2010. Midfielder who played about 30 seconds as a substitute at Sutton United on Boxing Day 2013 before being released post Christmas, joining Merstham. Striker who joined United on a short term loan from National League side Braintree Town at the end of August 2015. Charlie was recovering from an injury from the previous season and never really got into his stride with United, returning to The Iron after just 2 appearances from the bench. Joined Hayes & Yeading on the eve of the current campaign listing his previous clubs as Millwall, Southend and Peterborough. Sustained an injury pre-season and finally made his debut, and only appearance, in September in an Emirates FA Cup tie against FC Romania. Versatile defender and former captain of United's under 18 Academy side who showed up well in the early part of 2016/17 leading to his addition to the first team squad. Left for Beaconsfield before season end but returned for a short spell the following season before again reverting to Beaconsfield. Errol joined spent 3 weeks with United at the start of 2008 having spent the past two seasons with Maidenhead where he adopted a wide right role. Errol began at Stevenage before moving to Hayes FC and then on to Yeading where he played a major part in their back to back championships. Left for Oxford City in January 2008. Stevenage striker who spent a successful month on loan with United in February/March 2012, scoring three times in his five appearances. His effort with United did not go un-noticed by his parent club who recalled him before his second loan month commenced. Central defender who arrived at United in February 2008 on dual registration from Staines Town. Adam began his career as a striker with Walton & Hersham but had converted to a centre-half by the time he joined Staines in July 2006. Returned to Staines at the end of the season and subsequently joined Kingstonian in June 2008. Former Portsmouth striker who joined Hayes & Yeading from Hampton & Richmond in December 2013, making his debut on Boxing Day at Sutton United. Played again against Maidenhead in the clubs next fixture but this was to be his last appearance as he was released soon after and joined Bognor Regis Town. Adam was a regular in Hayes's reserve side before making his first team debut in a County cup tie in January 2007. With United, he made two starting appearances including a fine performance in a 1-1 draw at Newport County. Left the Club July 2008. Midfielder promoted from the United reserve side in August 2013 where he earned a Capital League President's Cup winners medal at the end of 2012/13 at age 16. Made his Hayes & Yeading debut as a second half substitute in August 2013 against Eastbourne Borough and was captain of the United Academy side who won the Ryman Youth League. Young Crystal Palace striker who joined United on a short term loan in December 2013 but due to the inclement weather around Christmas time he only pulled on the United shirt once, at Concord Rangers, before returning to his parent club. Left-sided defender who joined Hayes & Yeading in November 2017 from Bostik Premier side Kingstonian. Made a couple of appearances for United before being sent out on dual registration with Ware to get games under his belt. Tremendously hard working and versatile player who joined Hayes & Yeading in November 2016 from Kings Langley. Palyed several different positions, scored three superb goals and then out of the blue reportedly decided he didn't want to play football anymore and quit in the midst of the clubs relegation battle. Powerful striker with tons of pace who joined Hayes & Yeading from Southern Premier side Chesham United in the summer of 2018. Started the season well but lost his place to injury and after struggling to get back his regular starting position in the side he decided to move on and signed for Southern Premier side Hendon. Defender who made a few appearances for United during a loan spell from Conference National side Bromley at the tail end of the 2015/16 season before returning to his parent club prior to season end. Much travelled central defender whose progression in the game has been blighted by injury. Earned a starting place in the United defence early in 2011/12 and also captained the side at times when Mark Bentley was unavailable. Surprisingly departed in January 2012 having started 19 games for United. Central or right sided defender who joined Hayes & Yeading in July 2014 following his release by Leyton Orient. Took a few games to get up to pace in the Conference South but seemed to be settling in well at right-back when he was surprisingly released, joining neighbours Maidenhead United. Right-back who made a pair of appearances for United in December 2016 having joined from Egham Town. Was released soon after and joined Potters Bar Town. Striker and former Portsmouth youngster who joined United in March 2015 having been playing in Portugal since leaving Pompey. Made just a single appearance from the bench in a 2-0 win over Bath City before being released before season end. Vastly experienced striker who joined Hayes & Yeading a week into the 2017/18 campaign having been with National South side Gosport Borough last season. Scored a couple of times in his 11 appearances but was deemed surplus when Duncan Culley arrived and was released, later joining league rivals Hartley Wintney. Central defender or central striker, Phil came to United in January 2012 in what was to turn into a half season loan, from League 2 side Dagenham & Redbridge. Beacme a regular in the side, filling both of the aforementioned positions during his four months with the club, returned to the Daggers at season end without finding the net. Midfielder who came to United on a short term loan from League 1 side Charlton Athletic in February 2012 to further his experience. A straight red card in just his second game stiffled his chances with United where he never started a game even though he did well coming from the bench. Returned to Charlton April 2012. Central defender who came through the United FEDO scheme before establishing himself in United's Conference Premier side at the age of 19. His performances caught the eyes of Crawley and Charlie signed for them for an undisclosed fee in March 2011. He returned for a second spell at United in 2013/14 before joining Margate in February 2014. Former Woking striker who joined United in November 2009 after being released by the Surrey side. Managed three strikes for United in his 18 games, the most important being the only goal at Kettering just five minutes after coming on. Released summer 2010 and later joined Metropolitan Police. Centre-back who arrived at Church Road in February 2008 via a work experience deal with Leyton Orient. Frankie is a strong central defender who had been a regular in the O's youth side, also featuring in several reserve team squads. Returned to Leyton Orient. Midfielder who joined United in the summer of 2013 having been released by Reading. Impressed in pre-season but made just three appearances for United before being released. Striker who came to United on loan from National League South side Hemel Hempstead in November 2016 and started scoring immediately. Sustained a nasty facial injury which saw him miss eight games at a crucial part of the season, he did however still finish as top scorer with 13 goals for United. Experienced keeper who first joined Hayes & Yeading in March 2013 on loan from Conference side Dartford having also played for pre-merger Hayes FC. He was however recalled by the Darts after just 3 games for United. Re-joined from Leatherhead in August 2016 but after losing his place in the side opted to return to the Greens in December 2016. Diminutive midfielder who returned to Hayes & Yeading in March 2017 on dual registration with National League South side Gosport Borough having played for our reserve side 4 seasons back prior to joining Swindon Town. Departed at season end to join Whitehawk after making nine 9 appearances. Young midfielder who came to Hayes & Yeading in March 2012 on a short term loan from Crawley Town to further his experience. Originally a graduate of the youth system at Peterborough United, Arron had to wait until the penultimate game to see action from the bench followed by a start in the last game before returning to Crawley. Popular midfielder who had two spells at United after arriving from Binfield in 2011. After a successful 3 year stint, he moved to Margate in the summer of 2014. He failed to settle however in Kent and was soon back with United for a second spell in January 2015. Stayed until the end of 2015/16 but decided at season end to join newly promoted Hungerford. Experienced and much travelled striker who joined United in the summer of 2012 having ended the previous season at Maidenhead United. Showed glimpses of what he was capable of but never really settled into a starting role in the United side. Released in November 2012. Diminutive striker who joined United in August 2014 having been released by Conference side Forest Green Rovers. A former Tottenham junior, Saul made a couple of appearnaces from the bench for United before being released. Former Queens Park Rangers central defender who joined Hayes & Yeading from Dulwich Hamlet during the summer of 2017. Was in and out of the United side during the first few months of the season but did score two vital FA Cup goals in the matches against Malden & Tiptree. Released in October 2017 whereby he joined Bostik Premier side Hendon. Wide midfielder who joined Hayes & Yeading in the summer of 2015 having ended the previous season with Staines Town. Was a regular in the United side thoughout the 2015/16 campaign before opting to return to Wheatsheaf Park during the summer of 2016. Former youth team graduate who made his debut aged 17. A free scoring forward at U18 level, whose first goal ironically came when he was filling in at left-back. After 2 consistant seasons he was transferred to Alfreton Town in August 2013. Returned on loan in January 2014 and signed again briefly in 2014/15 before leaving yet again, this time for Sutton United. Centre forward who spent two loan spells at United during the 2010/11 season, firstly from Peterborough then from his new employers Crawley. The first spell being far more successful with 5 goals in his first 4 games saw him move between the aforementioned clubs. Returned to Crawley at season end. Former Coventry City full-back who joined United from the Hoddle Academy in November 2011. Made just two appearances in United's colours before being mutually released in December of the same year citing the extensive travelling to London from his home as being a problem. Fast and skilful midfielder who came to United in the summer of 2010 having been released by Watford. Proved a hit with the United faithful and soon earned a regular place in the side. Decided after just one season that his future lay elsewhere, subsequently signing for newly promoted Braintree Town in August 2011. Brisbane born goalkeeper who joined United in October 2013 from fellow Conference South side Whitehawk. Played in the Football League for both Aldershot Town and Wycombe Wanderers and for a while took over the number 1 shirt at United before being released due to financial constraints once Mikhael Jaimez-Ruiz had reclaimed his number 1 shirt. Former AFC Wimbledon midfielder who joined United in February 2014 following his release by Margate. Struggled a little to secure a regular place in the side and was released at season end.